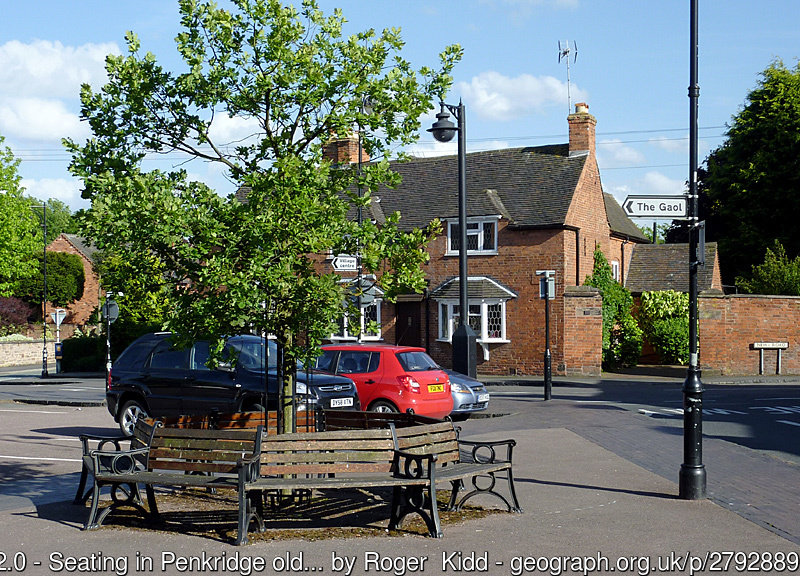 Penkridge in Staffordshire is an old market town which had a collegiate church. The Domesday Book 1086 notes the town’s economy as agricultural and it had a watermill. The town has a wealth of Listed buildings and several timber-framed buildings. 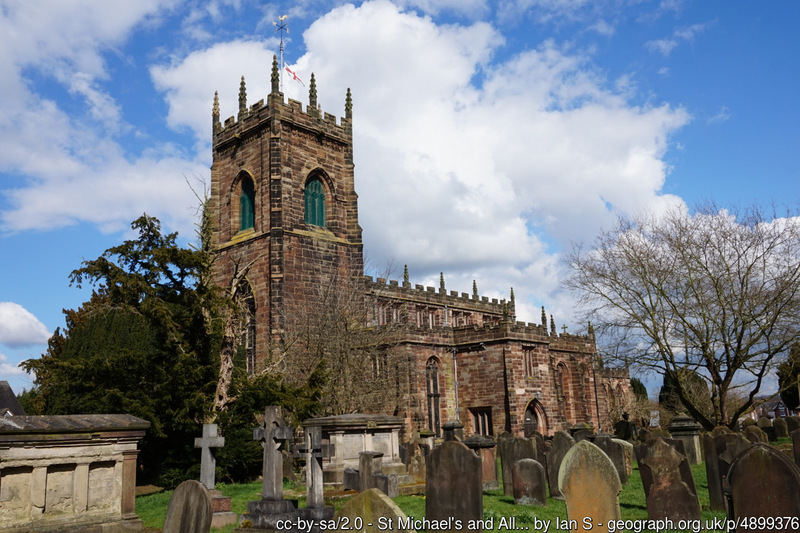 There has been a church on the site of St Michael and All Angels since the time of Alfred the Great, when Penkridge was under Dalelaw. From the time of Edward I, Sunday morning archery practice was compulsory. At St Michael’s there is evidence of this in the churchyard where there are marks made in the stone from the sharpening of arrow heads. Formerly, a collegiate church, the medieval church had a group of buildings including an infirmary. 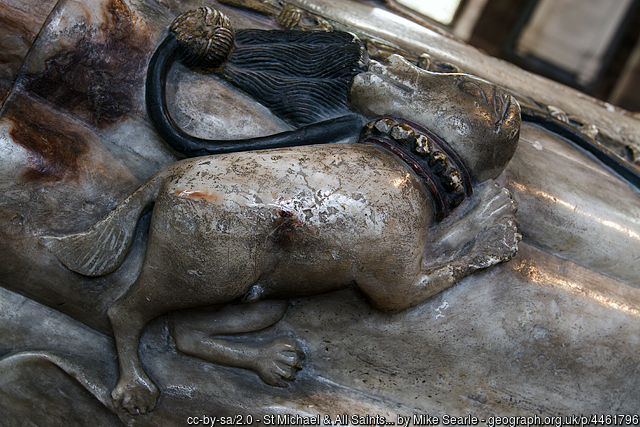 It was a Royal Free Chapel in medieval times. The present red sandstone, Grade I Listed building dates from the C13th with later additions and improvements, and has miserichords. The three-stage west tower and porch date from the C14th. During the Reformation several buildings were destroyed and the stone re-used in the village. The church now has 12 Grade II Listed burial monuments. There is also a Grade II Listed war memorial in the churchyard. Close to the Church is The Deanery, a Grade II* Listed building which dates from the C16th just before the Dissolution. The building survived the Dissolution and has C17th additions and at least some is timber framed. The Old Gaol on Bellbrook dates from the early C19th and the Civic Society now runs its Heritage Centre inside it. The centre is open on Saturdays between Easter and the end of September, and also on Wednesdays in the summer. Outside the building stands the stocks. Cuttlestone bridge, across the River Penk, dates from the C13th or earlier but the present Grade II Listed bridge dates from the C17th. 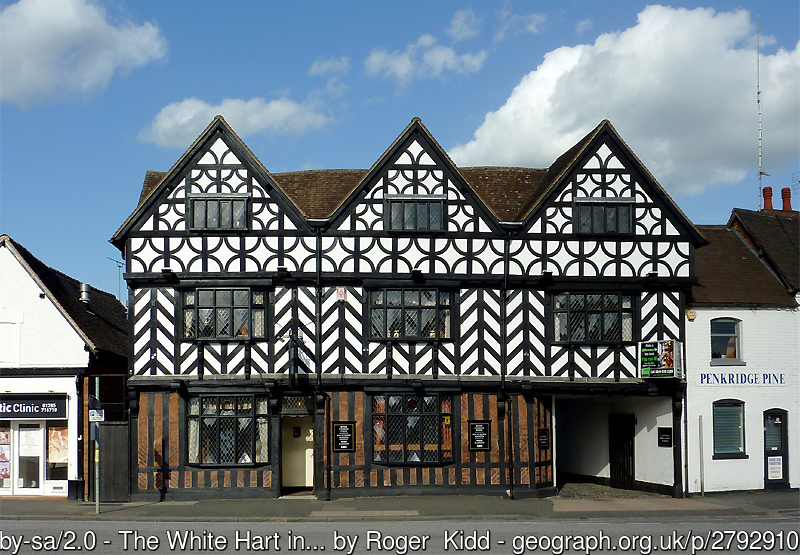 The Earl of Warwick built Grade II Listed White Hart around the 1560s; a pretty three floor building at Stone Cross. Its guests have included Queen Elizabeth I and Mary Queen of Scots. 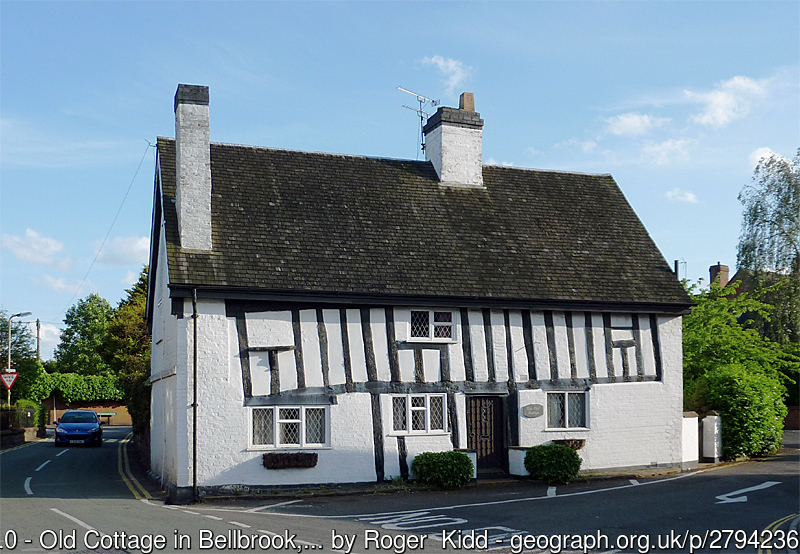 The quaint Old Cottage in Bellbrook, close to the Market Place, an earlier small, timber-framed building dates from the C15th. The Market Place, the narrow Market Street, and the area around formed the heart of the medieval town.